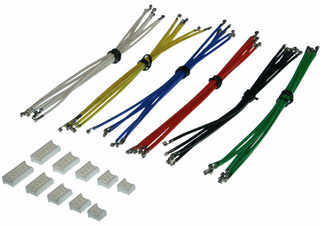 "Build your own custom wire harness." Build your own custom RobiCon cables with this cable starter kit. 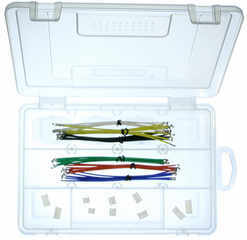 Includes six of each wire color ( white, yellow, green, blue red, black) and two of each 2-pin to 6-pin connector housings. 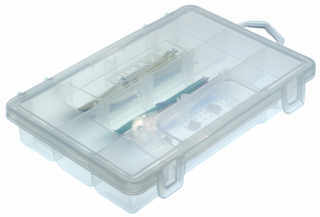 Comes in the small 11-compartment parts organizer shown in the photos. And there's plenty of room to add more parts. Note: International Orders are sent by first class international mail. International items may take up to 7 weeks for delivery and may be subject to additional import fees and local VAT. Contact us to upgrade shipping.